Top o’ the morning to you! I had “green” on the brain yesterday – did you? The heightened awareness of green and my Sunday ritual of “oh heavens, what is for dinner this week” and I decided to branch out in the vegetable section of the plate. Broccoli is a safe choice as a no-complaint vegetable. But what is broccolini and how would I prepare it? It’s easy and now there is a new option for the green on the plate. Wash and trim the ends of the broccolini. Bring a large pot of salted water to a boil and blanch the broccolini for 2 minutes. Drain immediately and immerse in a bowl of ice water. Melt the butter or heat the olive oil in a large saute pan. Add the garlic and stir. Drain the broccolini and add it to the garlic mixture and heat for 2 minutes. Add the lemon juice, 1/2 teaspoon salt and the pepper, and toss well before serving. Notes: I purchased a 6 oz. container of broccolini and next time will purchase 2 boxes for our family of 5. I also prepared it with butter but found some recipes with olive oil so provided that as an alternative. 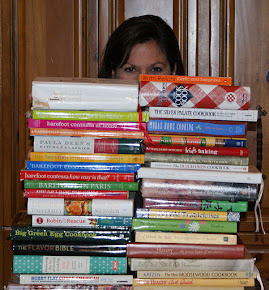 Have an aspiring young chef in your house? 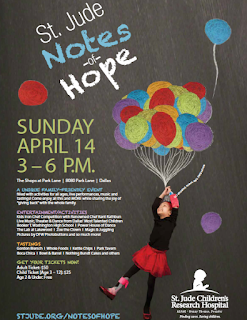 Let them test their recipe and their skills at the Kids Iron Chef Competition at the St. Jude Notes of Hope event on Sunday, April 14. Kids age 8-12 years can submit a family recipe that is healthy, easy to prepare, uses standard kitchen equipment, and a maximum of 8 ingredients (with the exception of seasonings). 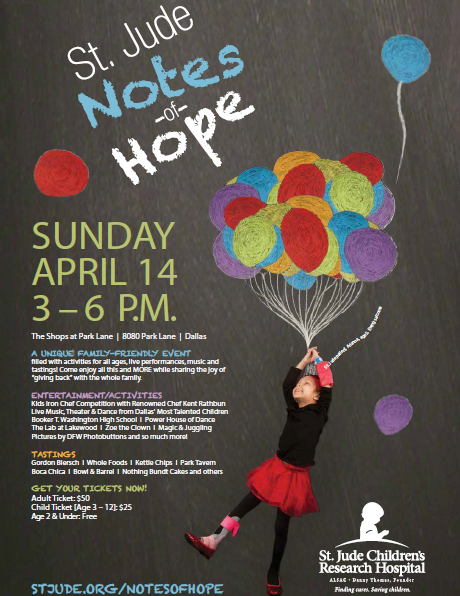 Four recipes will be prepared on stage with Chef Kent Rathbun, one of Dallas’ most generous chefs of his time and talent for noteworthy causes. The trick question on a first grade progress check written assessment read “how many letters do the fewest number of children have in their names?” And then you refer to the chart on the right and answer “2” because the column with 2 letters in the first name had 2 X’s (vs “1” which had 0 X’s (for 1 letter in the first name)). As Mrs. Anderson tried to make Elizabeth feel better about her incorrect choice, she stated “I don’t know of any names with just 1 letter.” For some reason, David and I felt the need to sound smarter than a first grader so we piped in “my dad’s first name is R but he goes by his middle name” and “I work with a guy named J”. That’s smart – contradict the person who is in charge of your child’s education. Jolie sent this recipe the other day. She teased me with “I’m making this tonight and it’s going fast,” as if I could get to her house before her family devoured it. We had an artichoke-apalooza – cooking it using the recipe’s method, Jolie’s method and grilled artichoke bottoms from a can (the cheater, short-cut method). The winner was Jolie’s method, however they looked prettier using the recipe’s method. Rinse the baby artichokes. Place the artichokes in a steamer and cook for 15-20 to soften. Remove from steamer basket and allow to cool. Working on the artichokes one by one, cut off the stem to 1/4-inch from the base; peel back and remove the petals until only the top third of the cone tip is pale green green (I felt like I was wasting a lot of the artichoke but you are removing the tough, non-chewable outer leaves). Cut off the pale green tips. Trim off any remaining green from base of artichoke. Halve or quarter the artichokes, depending on their size and drop in the bowl of acidified water (to prevent discoloration). In a skillet, heat to medium high and add the olive oil. Add the artichokes, onions, and garlic. Cook for five minutes, stirring occasionally. Sprinkle on 1 T lemon juice, salt and pepper. Put in serving bowl, sprinkle freshly grated Parmesan cheese on top. Rinse the baby artichokes. Set out a bowl with 3 cups of ice-cold water; add the fresh squeezed juice from 2 lemons (about 3 T of lemon juice) or vinegar. Working on the artichokes one by one, cut off the stem to 1/4-inch from the base; peel back and remove the petals until only the top third of the cone tip is pale green green. Cut off the pale green tips. Trim off any remaining green from base of artichoke. Halve or quarter the artichokes, depending on their size and drop in the bowl of acidified water (to prevent discoloration). Drain artichokes. In a large skillet, heat the artichokes and 1 cup of water to boiling. Cover and simmer 3-5 minutes, depending on the size of the artichokes. Drain well. Using the same skillet, heat to medium high and add the olive oil. Add the artichokes, onions, and garlic. Cook for five minutes, stirring occasionally. Sprinkle on 1 T lemon juice, salt and pepper. Put in serving bowl, sprinkle freshly grated Parmesan cheese on top.